Easy to get to but hard to leave. This unique 2 bedroom condo is located close to the heart of the action but not overwhelmed by it. 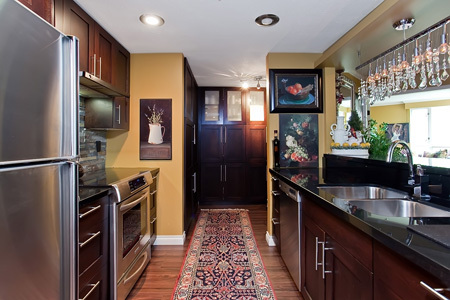 Like the island it has it's own distinct character, easygoing yet elegant, relaxed but refined. Entering the unit you will find a fully outfitted kitchen with appliances that are all suitable for the demands of a culinary chef. The bathrooms are an elegant spot housed with luxurious plush towels. 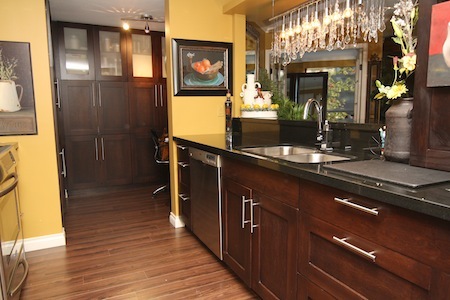 Hardwood floors are throughout and there is in-suite laundry. The condo is able to sleep 4 comfortably. 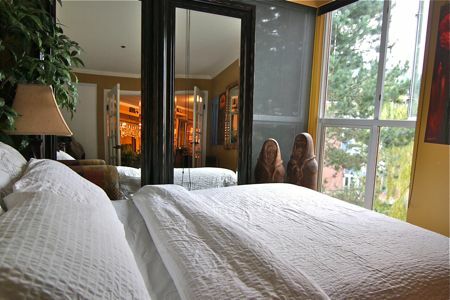 The master bedroom features a luxurious queen size bed with linens of top quality and featuring high thread count. 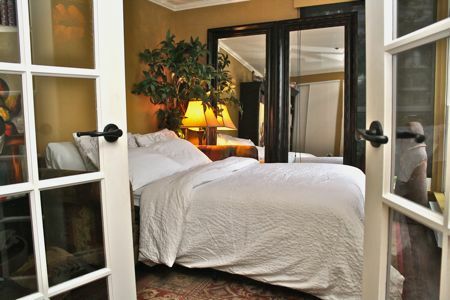 The second bedroom has a comfortable double sofa bed. Whether you prefer relaxing on the most comfortable couch in front of the fireplace or on the balcony surrounded by flowers and accessories, you will for sure enjoy this unit with it's amazing views. 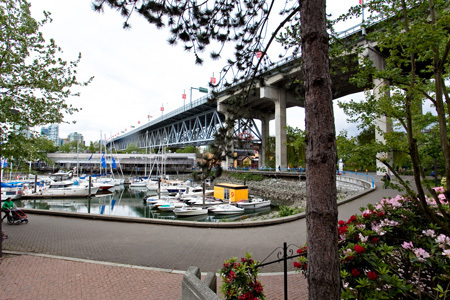 Nestled next to the Granville Street Bridge south of downtown, Granville Island is the city's most enticing people's place and pretty much lives up to its claim to be the heart of Vancouver. Friendly, easy-going and popular, it's shops, markets, galleries, marina and open spaces are set side by side with a light industrial setting whose faint whiff of warehouse squalor saves the area from accusations of pretentiousness. Marina Breeze is ideally located for business travelers, vacationers and couples on a romantic getaway. The Marina Breeze apartment is a dream. The location is perfect and very quiet despite the bridges close by. 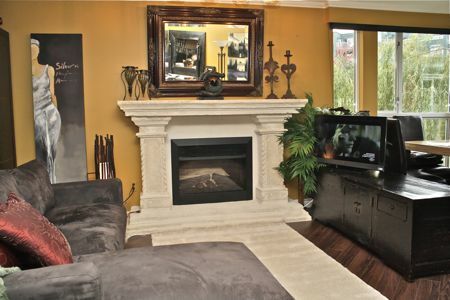 The unit is beautifully decorated and very functional. 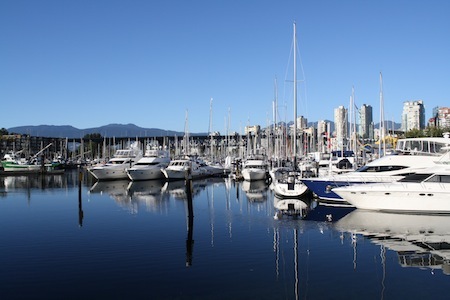 Our greeting agent, Isabel, was very kind and gave us good tips about places to visit in Vancouver and surroundings. We will return to Vancouver and will definitively book a rental from EMR. This unit's location provided a perfect, central base for exploring Vancouver. 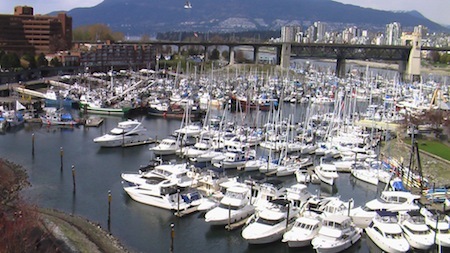 Our close proximity to Granville Island was a big plus. While close to the action, it was surprisingly quiet and peaceful with lovely views of a lily pond. Heather our reservation agent was helpful and responded quickly to inquiries, and Isabel our greeter was excellent and helped us get off to a good start. A big disappointment was not being able to bring our bikes since there was no safe place to store them. This was discussed at time of booking as one of our priorities, but only later was this clarified with the owner and we learned this was not possible. There are nearby bike rentals but the rates are too high to make this a practical option. Without air conditioning, the unit was uncomfortably warm even though we kept windows open for breezes and the west-facing blinds closed all day. As a constructive suggestion to EMR, we suggest you clarify on your website listings which photos showing views are taken from the unit and which are not. Otherwise, this is definitely misleading and cause for disappointment with your customers. We will be more careful to clarify this in future transactions. My wife and I had some very specific requests for where we wanted to stay. EMR was very responsive and accommodating to our needs. We found the communication very professional. 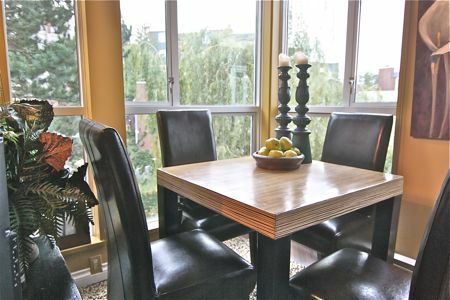 We ended up in a condo that was close to perfect for what we wanted and thoroughly enjoyed our month in Vancouver.